What makes a Reebok Nano 4.0 a good weightlifting shoe? A good shoe should provide you ample support, comfortable fitting, and breathability. Ensure that the shoe you picked matches your foot size, you should also check for stitching quality inside out, especially along the baseline. Moreover, the shoe should look good as well. The best weightlifting shoes can improve your lifting performance and will give you ample support as well. But, before we go deeper into weightlifting shoes, it is important to understand more about other fitness shoes and shoes in general. Before deciding what shoes to buy, it is imperative to know what you will be using the shoes for. This is because there are different types of weightlifting shoes and all serve a different purpose. Hybrid shoes are light and flexible, and designed for a variety of different exercises. Dedicated shoes are designed for CrossFit and Olympic lifting, depending on the shoe brand and specifications. Running shoes are those that come with a gel and air filling, and this is a good quality to have when running, as it protects the impact on the joints while running. However, it is a very bad feature to have while lifting weights, as it will reduce the amount of power for weightlifting and leave the user more prone to injury. This is because the soles of the running shoes will absorb much of the force intended for the bar and the soles are softer than normal, meaning they are less stable. The lack of stability from the unstable soles is more likely to lead to an injury. There are shoes such as the Romaleos which are designed specifically for the sport of Olympic weightlifting. The type of exercise undertaken will determine the type of shoes that should be bought. The best sprinting shoes are flexible, comfortable and light. These are not the typical characteristics of a lifting shoe. CrossFit has exploded in popularity in recent years. The purpose of CrossFit is to train across as many different platforms as possible – in other words to make the participant as strong as possible in the widest possible range of strength and conditioning exercises. Because of the varied nature of CrossFit exercises, special shoes had to be designed that were flexible enough to withstand the different demands of the Sport. It is important to distinguish between CrossFit and Olympic Weightlifting, as the shoes associated with each will have different features. A shoe in the context of Olympic weightlifting is a tool to be used to get the job done in the most efficient manner possible. If the workout involves Olympic lifts, heavy squats and overhead presses, then a pair of Olympic weightlifting shoes are necessary. If the sport involves a mix of different types of lifts and minor cardio the CrossFit shoe is more appropriate. In general, Olympic shoes such as the Nike Romaleos are designed purely for Olympic lifts. However, these are more expensive. If the Romaleos are too expensive, then the Adidas Adipowers can be a good substitute. While not a pure Olympic weightlifting shoe they can do the job more than adequately while also catering to other types of exercise, making them ideal as a pair of CrossFit weightlifting shoes. Alternatives include the Nike Romaleos 2 and the Adidas Powerlift 2. For regular weightlifting, good shoes include the Adidas Superstars, the Adidas Powerlifts and the ever-famous Chuck Taylor all stars. For serious weightlifters, Do-Wins and VS Athletics might be more appropriate. However, as far as pure CrossFit training is concerned, a shoe designed specifically for CrossFit is the best option. And the best CrossFit shoes are the Reebok Nanos 4.0. 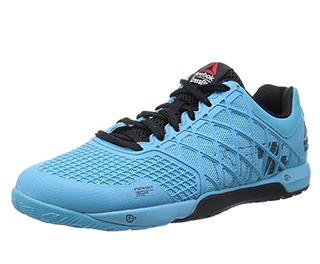 The Reebok Nano 4.0 is a mid-range CrossFit training shoe in terms of price. The shoes are ideal for deadlifts and squats. 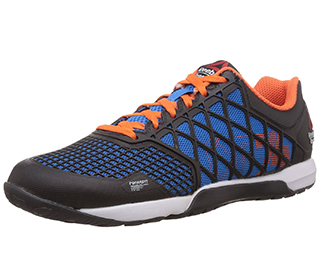 The Nano 4 differs from the Nano 3 mainly in terms of stability in the shoe itself. The main difference is that the Nano 4 was designed to be more lightweight with more breathability. A question often asked is “can you run in Reebok Nanos?”, and the answer is of course you can. They are CrossFit shoes designed to run over short distances. They are the best Reebok CrossFit shoes. If you need to sprint then Reebok CrossFit sprint shoes are available, as well as Reebok sprint shoes. Other weightlifting shoes available from Reebok are the Reebok CrossFit lifters 2.0, the Reebok CrossFit lite trainers, the Reebok lifters, the Reebok power lite shoes and the Reebok CrossFit sprint womens shoes. Kevlar fiber was added to ensure the Nano 4 was lightweight and strong. A Reebok representative is reported to have claimed that the Nano 4 is 5 times more powerful than steel on a per weight basis. An impressive statistic if believed. There are a number of other impressive features with regard to the Nano 4 that are not in any doubt. Some contend that these are the best Reebok shoes available at present. The Nano 4.0s have a rubber toe wrap for durability, a breathable spacer mesh design, Metasplit flex grooves for increased friction and a 4-millimeter heel. They also have a specifically designed protection to prevent the shoes getting worn from friction from climbing up ropes, along with a flexible and comfortable midsole. The shoes are very stylish and a favorite among lifters who value the visual side of weightlifting shoes. They look extremely trendy and are very noticeable. They come in a wide range of colors and designs. The main criticism of the Nano 4 is that the price difference is not enough to justify a change from the Nano 3, as they are quite similar apart from some aesthetic design changes. On top of this some users have reported blisters on their toes from the Nano 4, which was not an issue with the Nano 3. This is possibly the combination of a shoe that is too snug along with frequent running. The main selling point of these shoes is they are incredibly durable and particularly suited for CrossFit, as well as being visually pleasing to the eye. Simply put the Reebok Nano CrossFit shoe is the best CrossFit shoe. The Reebok CrossFit Nano is designed specifically for CrossFit and this is what they do best. For CrossFit enthusiasts, they are the best option. For those who do both Olympic weightlifting and CrossFit, then it is best to use the Nano 4.0 shoes for CrossFit and chose an alternative such as the Do-Wins or VS Athletics for weightlifting. This will prevent wearing down the shoes and will also ensure that both pairs of shoes are used for the purpose they were built for, meaning the user gets max lifts and max value. Another pair of good Shoes for Weightlifting is Asics .Check out our reviews in this article to get a huge amount of information you will need to know about Asics Crossfit Shoes.